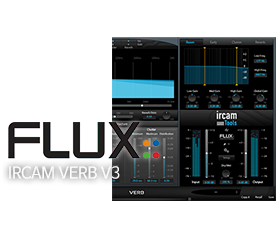 As a result of a joint engineering venture, Jünger Audio and Flux:: are pleased to announce Level Magic for the first time in a software format. Developed and enhanced over several years, the dynamic range processor principles developed by Jünger Audio enable level managing devices like compressors, AGC and limiters to be produced with exceptionally high audio quality, without coloration, pumping, breathing, distortion or modulation effects sometimes associated with this type of processors, in short, almost inaudible processing - with ease of use. Level Magic is a comprehensive Real Time and Offline loudness measurement, correction and management processor. 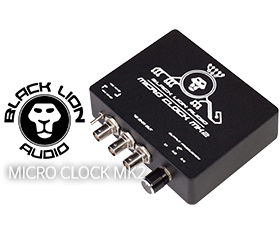 Designed to meet the requirements of the global broadcast and media industry it is compliant with all current worldwide loudness standards. The algorithm is highly adaptive to the structure of the incoming audio and requires only a small number of parameters to be set by the user. 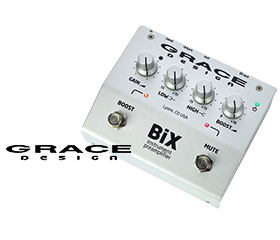 The result is audio compliant with the selected standard but free of any unwanted artefacts such as pumping, breathing or distortion. Based on the underlying ITU-R BS.1770(-1/2/3) principle, Level Magic provides compatibility with EBU R128, ATSC A/85, ARIB TR-B32, FREE TV OP-59 and Portaria 354. Designed to be audibly transparent, Level Magic utilises a proprietary multi-loop approach comprising of three essential elements in parallel to measure, and if necessary correct, out of specification audio. An AGC section controls slower changing levels over time whilst a fast acting transient processor catches inaudible high frequency overshoots that may otherwise cause detrimental effects in downstream processing or coding. A brickwall filter provides effective True Peak limiting using a 2ms look-ahead to capture any intersample peaks. The resultant gain changing signal is a combination of all three elements. 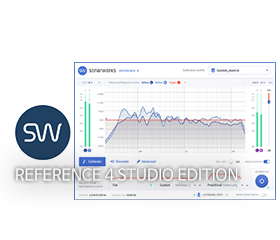 * Jünger Audio Level Magic AAX Native & AAX AudioSuite supports 32 bit in Pro Tools 10.3.5 and 64 bit in Pro Tools 11. Established in Berlin in 1990, Jünger Audio specialises in the design and manufacture of high-quality digital audio dynamics processors. It has developed a unique range of digital hardware processors that are designed to meet the demands of the professional audio market. All of its products are easy to operate and are developed and manufactured in-house, ensuring that the highest standards are maintained throughout. Its customers include many of the world’s top radio and TV broadcasters, IPTV providers, music recording studios and audio post production facilities. For more detailed features information, hover your mouse over the small images to the right above. Level Magic includes the following features: Audio I/O in 1, 2 and 6 channels, Sampling rates in 44.1, 48, 88.2 and 96 KHz, Transient Processor, Adaptive AGC, Distortion-free true peak limiter, and is compliant with all current broadcast audio loudness recommendations including ITU-R BS.1770 standards (versions 1, 2 and 3) as well as recommended practices ATSC A/85 (2011/2013), ARIB TR-B32 Free TV OP-59, Portaria 354 and EBU R128. Loudness based measurement. Several filters and RMS weighting are used to get a loudness equivalent result. Starting from the well known A, B, C weighting curves (DIN-IEC 651), the ITU did further research into the relationship of frequencies, their overall levels, their peak levels and the duration of signals to develop the best representation of human loudness perception. The frequency-weighted measurement has been extended by a gating function. The EBU PLOUD- Group developed a gating function to exclude quiet sections from the measurement to prevent possible loudness underread. Examples are background noise and atmo, which do not add to the loudness perception as much as louder signals do. This gating function consists of an absolute threshold at -70LUFS and a relative threshold 10LU below the absolute-gated level. This involves the necessity to recalculate the whole measurement with every subsequent block. The ITU approved the gating function and included it into its recommendations ITU-R BS. 1770-2 and later. Systems working in ITU 1770-1 mode do not feature a gating function. Thus its output readings may vary a bit from meters compliant to EBU R128 or ITU 1770-2/-3. Further keep in mind that the gate is only applicable to the integrated or program loudness measurement (from start to stop) and not used for short-term or momentary measurements. This is a work to rule, based on ITU-R BS.1770-3. To characterise an audio signal the measures of Programme Loudness, Loudness Range and Maximum True Peak Level are used. The Program Loudness Level is normalized to -23LUFS [Loudness Units referenced to Full Scale] with a permitted deviation of +/- 1LU. The measurement includes a gating method as specified in ITU-R BS.1770 (summarized in EBU Tech Doc 3341). Loudness Range LRA measures the variation of loudness on a macroscopic timescale. It is supplementary to the measure of overall (integrated) loudness. Units are LU. The algorithm for calculating it can be found in EBU Tech Doc 3342. The Maximum Permitted True Peak Level of a program during production is -1dBTP, measured with a meter compliant with both ITU-R BS.1770 and EBU Tech Doc 3341. The ARIB TR-B32 is a standard defined by the Association of Radio Industry and Businesses in Japan, based around ITU-R BS.1770-2 (gating employed) with the target level -24 LUFS/LKFS. The ATSC A/85 is a standard defined by The Advanced Television Systems Committee, USA that applies to digital television only. A/85 is based around the ITU-R BS.1770 with the target level -23 LKFS. Since March 2013 the A/85 recommends ITU-R BS.1770-3 for all programming. Operational Practice, OP-59, is a standard defined by FreeTV in Australia based around ITU-R BS.1770. In addition OP-59 also ensures compliance with the European EBU R128 standard. The Portaria 354 is a standard defined by the Ministry of Communications, Brazil based around ITU-R BS.1770-2 and EBU R128 (2011) with the target level -23 LKFS.